Millerntor-Stadion is a multi-purpose stadium located in the St. Pauli district of Hamburg-Mitte near the red light district. 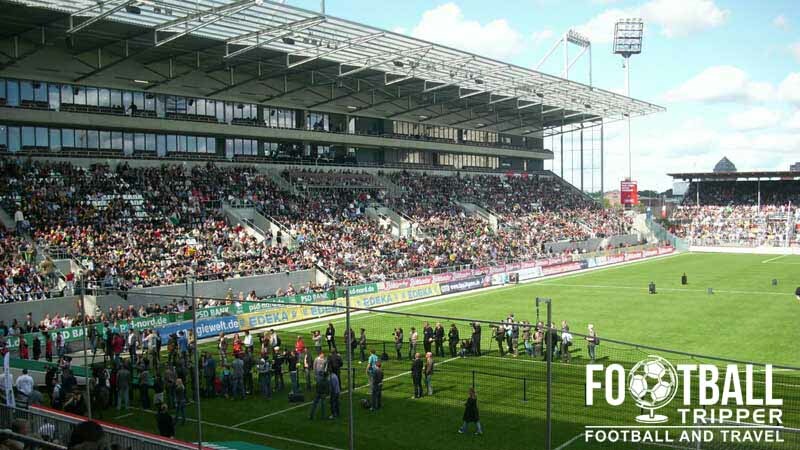 Used predominantly for the home matches of the infamous FC St. Pauli, the ground was expanded in 2007 resulting in the current capacity of 29,063. The area of Heiligengeistfeld has hosted football matches as far back as the First World War when the first primitive ground was cobbled together. 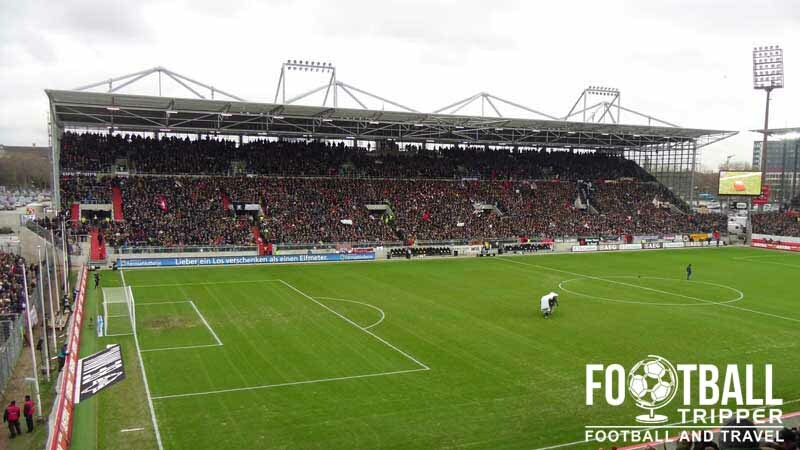 The first proper stadium was constructed by FC St. Pauli in 1946 with the help from volunteers and supporters after the city of Hamburg sustained heavy bomb damage in World War 2. 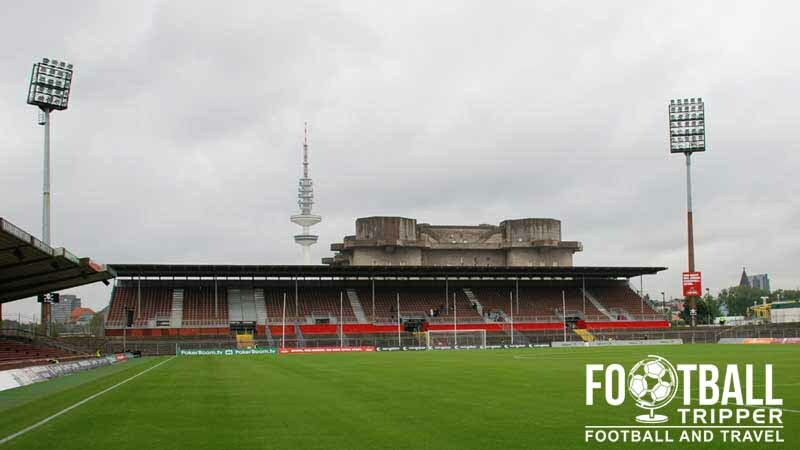 Millerntor-Stadion developed into a proper stadium in the early 1960s when the club were forced to relocate 500m north west from their original site (where St Pauli U-Bahn station is located). The move was a result of Hamburg been selected as hosts of the 1963 International Garden Exposition which required use of the adjacent Planten un Blomen park. Construction on the first iteration of Millerntor-Stadion took over two years between 1961 and 1963, and was slightly delayed due to a lack of drainage system which caused the pitch to flood whenever it rained. Designed to accommodate 32,000 supporters, it was soon reduced to 20,629 due to safety reasons. 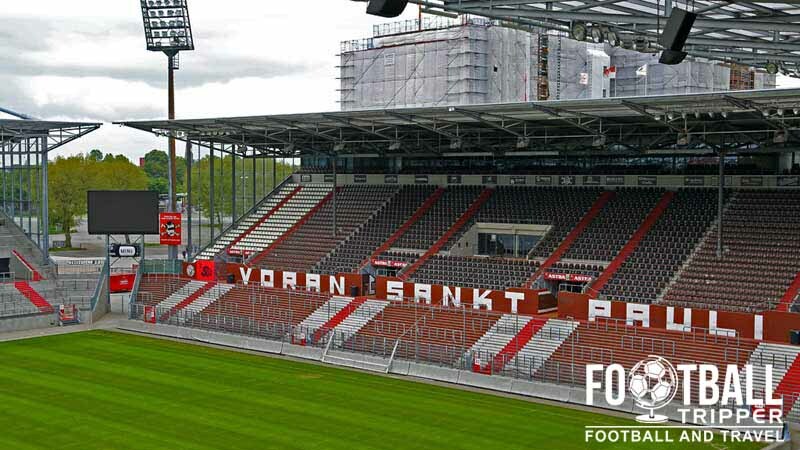 St Pauli’s stadium has undergone several renovations over the years, including a complete rebuild which has taken place over an eight year period between 2006-2014. Each individual stand has been demolished and rebuilt in turn: South Stand (2008), Main Stand (2010), Gegenderdade (2013), and North Stand (2014). Whilst some commentators have suggested that it would have made more sense to build a complete new stadium in a new location, this was never on the cards for a club such as St Pauli. A new stadium called the Sport-Dome was proposed in the 1980s, but it rejected after protests from fans who decried the commercialisation of their stadium – after all it wouldn’t have been a modern ground without a shopping centre! 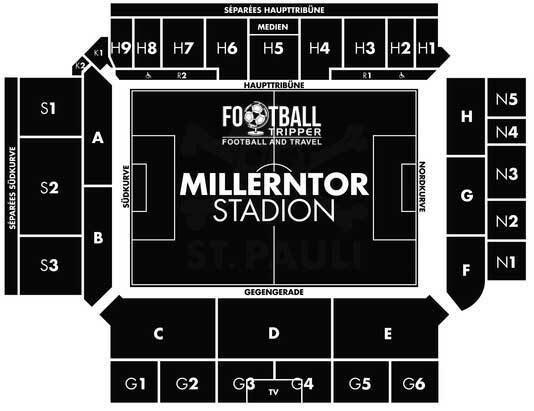 Millerntor Stadion is comprised of four stands: North, East, South and West.